Dr. Speck has practiced cardiology and internal medicine in the greater Seattle area for over 20 years. She is the medical director of the cardiac wellness and rehabilitation programs at the Swedish Heart and Vascular Institute in Seattle. She graduated from the University of Illinois with a combined MD MPH (Masters Degree in Public Health) and did her post graduate medical training at the University of Washington Hospitals. She has always believed that preventing illness is the best approach to managing health and maintaining vitality at whatever stage of life. 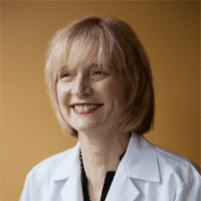 She has served as the Medical Director for the Dean Ornish Program for reversing heart disease and strongly supports the role of exercise and nutrition in preventing and reversing disease. In 2009, she co-founded POTENTRx, a medical fitness company, to offer patients a medically-supervised lifestyle approach to their health. She is an expert spokesperson for the Seattle community and educator for fellow professionals in illness prevention, disease-reversal and disease –management techniques. She believes that partnering with her patients offers the best possible avenue to improving and maintaining their health. Dr. Speck treats the whole person and focuses on the longevity of the treatment. Her goal is not to simply treat the problem with medications or surgery, but to instead work with the patient to implement a healthy lifestyle and promote overall health. Dr. Speck identifies risks and when medically appropriate uses the known benefits of exercise and nutrition to help manage cardiovascular risks. She helps patients navigate the medical system to ensure the best and prompt care. Many of her patients have a worrisome cardiovascular family history and want to act preemptively versus reactively. Dr. Speck is dedicated to working with the patient to aid them to be champions of their own health. Every step of the way, she will listen to you, she will gather information, and make a plan that works for you as you move forward together. Speck Health is a concierge lifestyle medicine clinic that combines exercise and nutrition with internal medicine, preventive cardiology, and naturopathic medicine. Together, our exercise, nutrition and medical staffs identify strategies that will enable you to experience a longer, healthier, and more fulfilling life. Unlike other medical clinics, fitness clubs, books, and the internet that provide only a piece of the puzzle, Speck Health is the only place where you can obtain a comprehensive, scientifically measured, personally designed and monitored action plan and a team of professionals who will work with you until you succeed. Speck Health operates an in-office human performance lab called POTENTRX through which it conducts health and risk screening tests that are not covered by insurance. The presence of POTENTRX enables you to receive rapid turn-around of results and to pay a reduced retail fee for important preventive and rehabilitative analyses that insurance plans do not cover. Speck Health is gifting to the upcoming American Heart Association fundraiser!